Signing the ketubah, the Jewish marriage document, at Glen Head Country Club. This is my favorite ketubah photo. The bride's veil is being held by her mother with her father standing there looking on. No one knows I'm there. 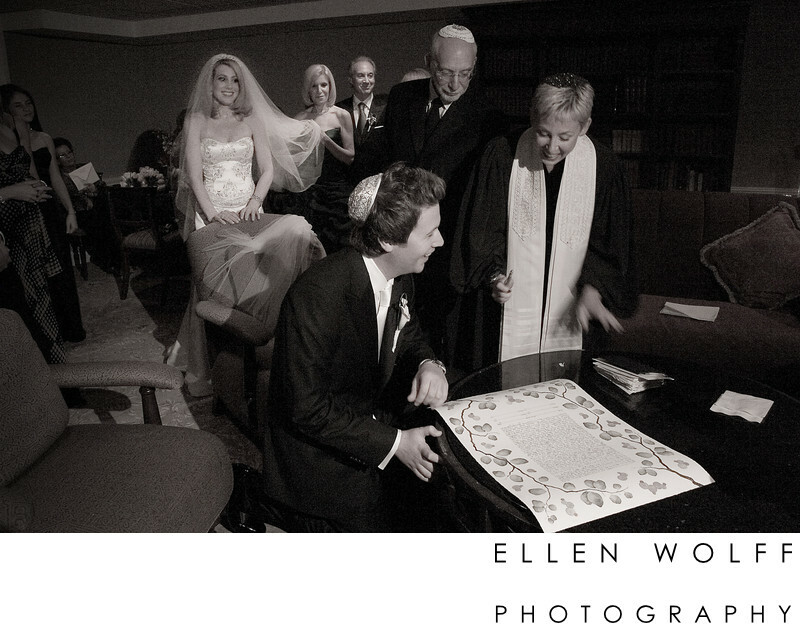 I love the naturalness of the moment.Keywords: ketubah (3), wedding photography (21).